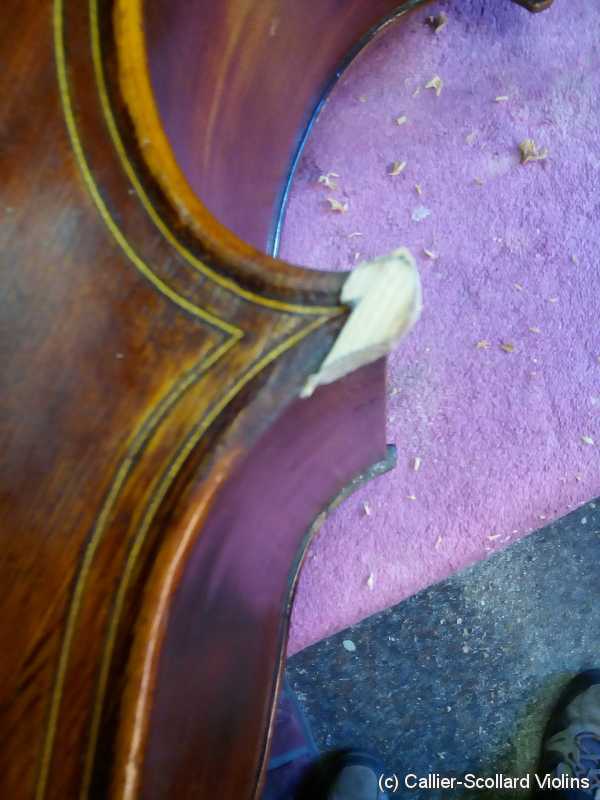 String instrument corners sometimes get damaged. Usually it's just the outside part of the corner. In that case a small piece of spruce can be matched and then attached and shaped to match the wear of the existing corners. 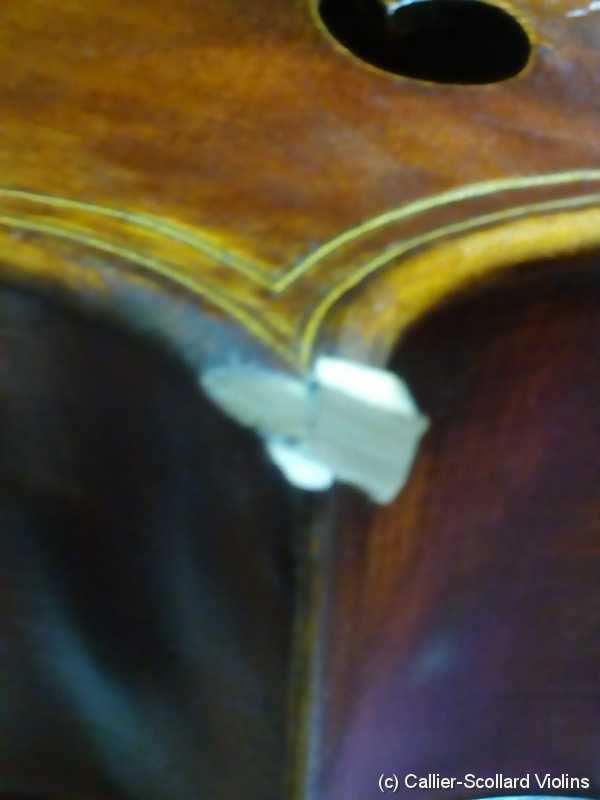 The photo shows a corner where the inside edge and the purfling was missing. First I found a matching piece of spruce, then shaped it so that it matched the original outline. 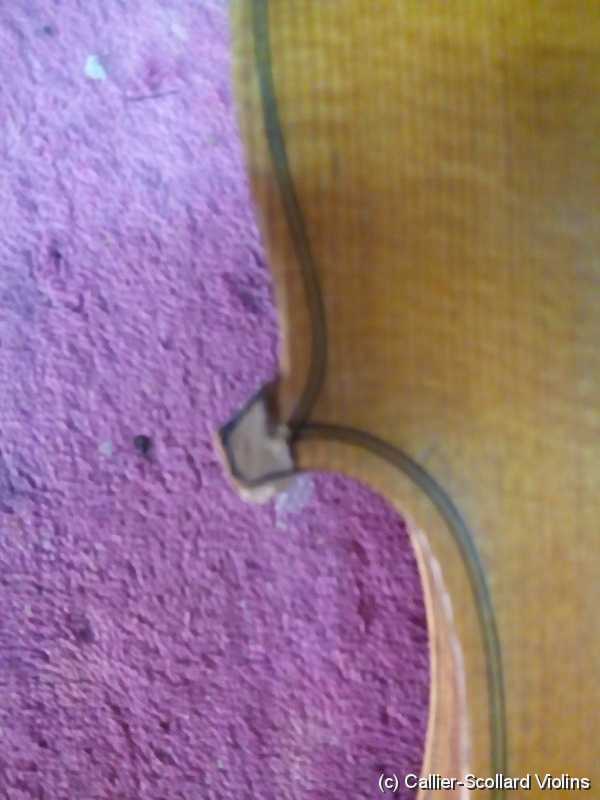 The top of the piece was left flat so that I could cut the purfling channel. 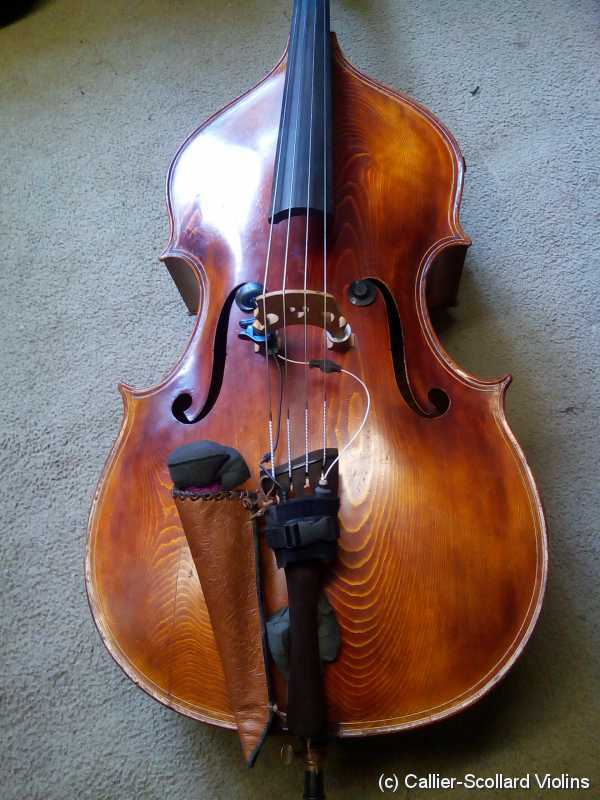 Then I found an old matching piece of purfling and bent it to the correct shape and then glued it into the channel. 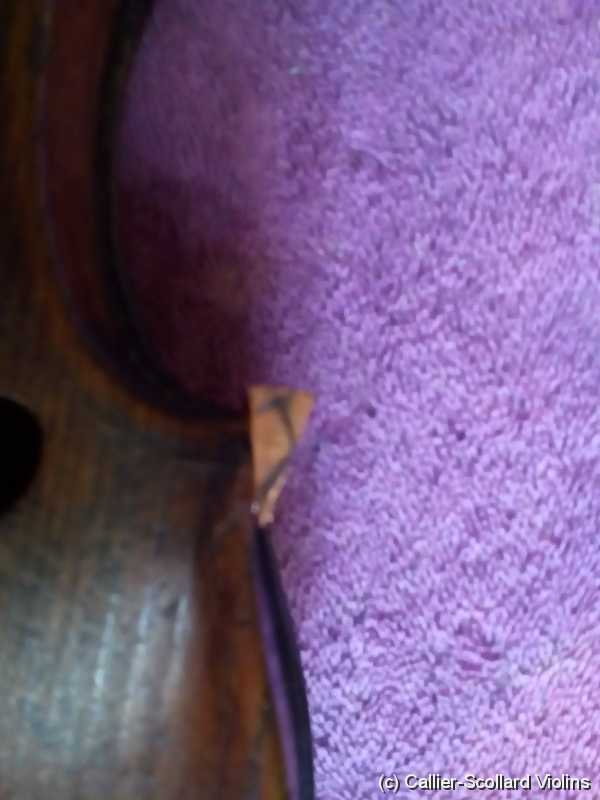 Then the corner is shaped so that it matches the wear of the original corners. 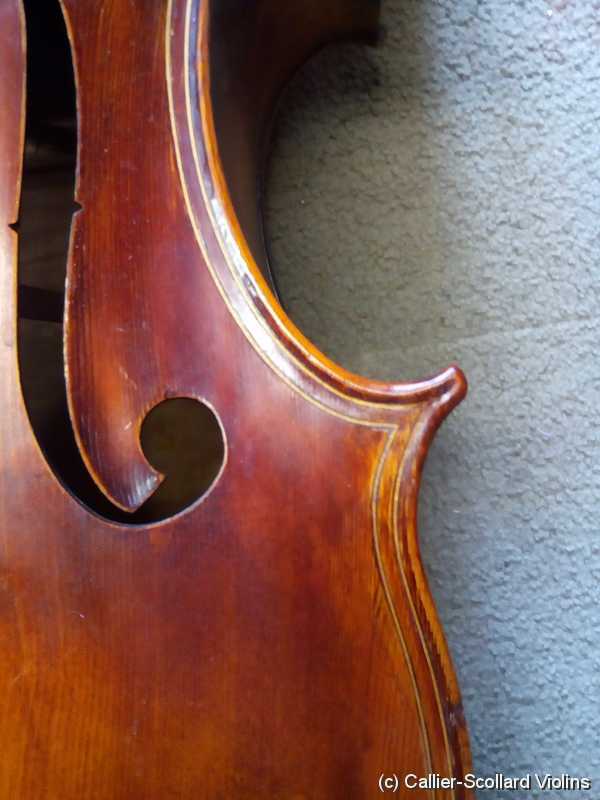 Varnish is then applied so that it also matches the original varnish. 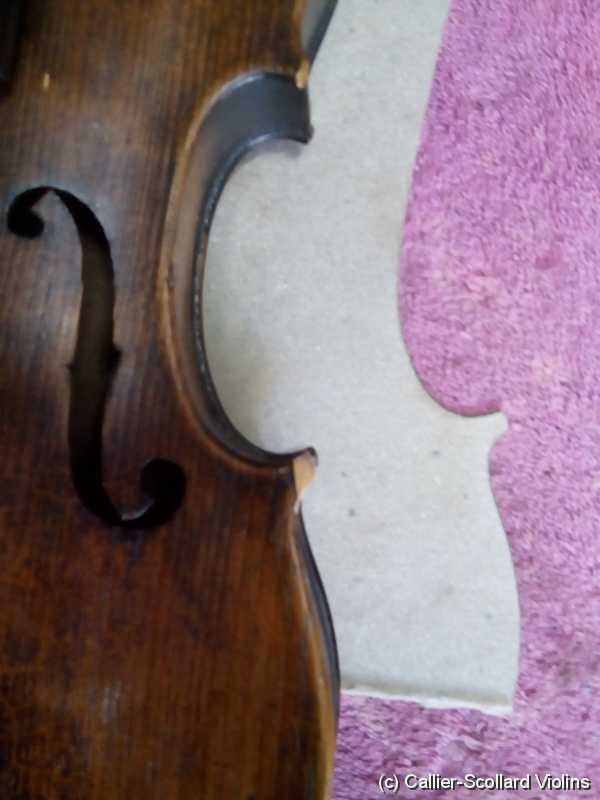 Another Violin Corner replacement. This is a very pale yellow color, if you look closley the varnish on the corner is just a tad darker. Once it's completely dry it can be rubbed down a little. 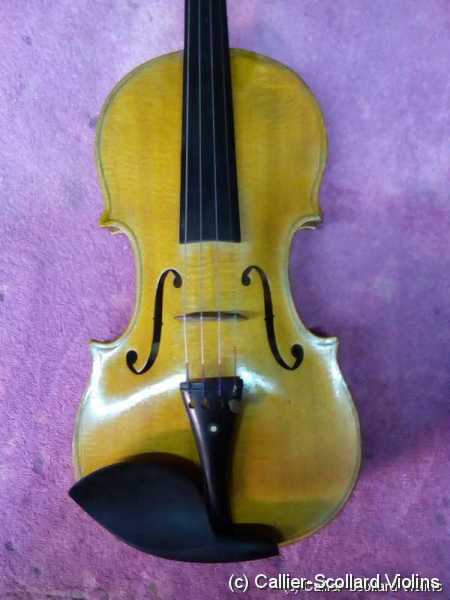 This violin was made by Alfredo Galea from Long Beach. Here is another corner replacement. This time I remembered to take a shot of the template. Each time you make a new corner, a template is made. Usually you make the template from the matching back corner because it has less wear than a top corner. Thank you for your great work!! 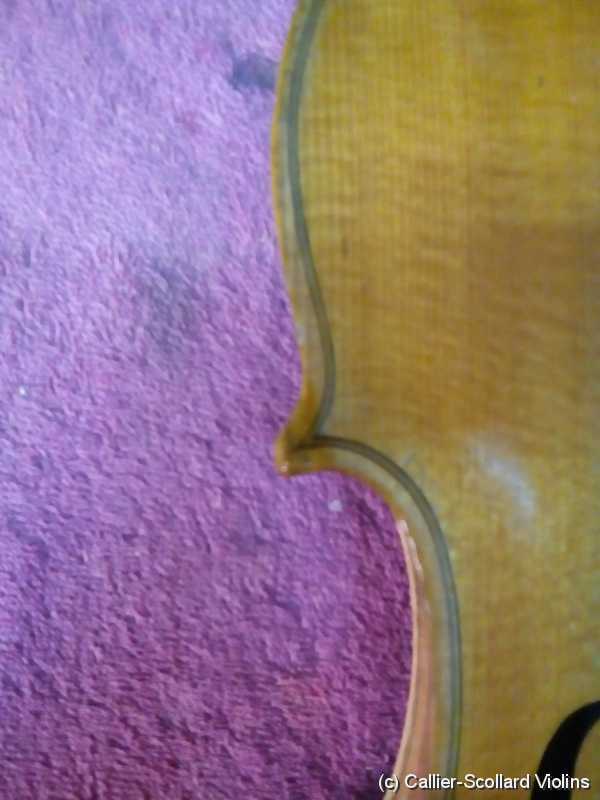 My violin looks just like new! !